The ALC will add the contribution to a fund established to replace the windows in its main building. The project will include replacing the existing dual balances in the bottom sash of the windows with heavy duty ULTRA-LIFT Class 5 spiral balances, fixing the top sash and fabricating half screens for 80 windows. The building was constructed in 1924 and although significant renovations were completed 30 years ago, the windows used were left over from a local school’s remodeling project. The glass utilized the energy saving technology available at the time, but window construction and materials have since become much more energy efficient. Additionally, the building has settled and some of the windows are now out of balance, causing more heat loss and air leaks. More importantly, the pins that affix the large, heavy windows to the casing no longer align properly, presenting a safety hazard. The new windows will improve safety conditions and save the ALC both heating and cooling costs for years to come. At the Boys & Girls Club of Greater Nashua, the gift will help replace the sound system in the Club’s dance studio. The studio needs a sound system to continue offering quality dance programs to nearly 3,000 Club members ranging from 5 to 18 years old, two-thirds of which come from low-income households. 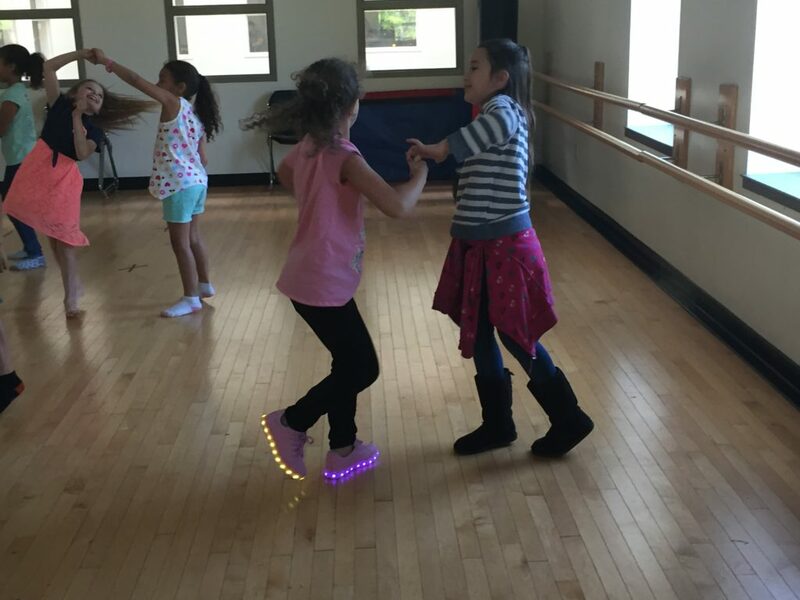 The Club offers 19 program times and nine individual dance programs throughout the week: step, freestyle/hip hop, bachata, merengue, dance synergy, dance 101, rhythmic gymnastics, yoga, and lyrical. Without diverse and positive opportunities like dance programs, many kids would be left unsupervised after school and at risk of getting in harm’s way. By providing at-risk youth the keys to great futures, the Club helps the entire community. Quality arts programs like dance help prevent school dropout and juvenile delinquency, providing youth a way of expressing themselves that often improves confidence, self-esteem, and skills. High-risk youth who have access to programs like these typically have better academic results and workforce opportunities, as well as increased civic engagement. Co-operative Insurance Companies’ Community Grants Program was established in 2004 to assist with community projects across Vermont and New Hampshire. Through this program, Co-op partners with its agents and directors to provide funds for capital campaigns and operational support throughout the two states. The ALC and the Boys & Girls Club of Greater Nashua represent two of 11 organizations to receive a Community Grant from Co-operative Insurance Companies in 2018. Since 1972, the ALC has been operating on its mission to excel as an educational agency designed to provide the academic skills, job training and support services needed for adults and young adults to achieve more productive lives for themselves and their children. The organization’s students discover skills, which are theirs for a lifetime. By becoming educated, trained, employed, and independent, and by ensuring that their children are educated, they are making a very personal contribution to a healthy, prosperous community. The ALC serves more than 3,000 individuals each year from two facilities, a satellite program in Milford, and before and after school programs at 22 elementary schools. Since 1971, the Boys & Girls Club of Greater Nashua has been providing girls and boys between 5 and 18 years old with the opportunities and services they need to succeed in life. This includes a safe place to learn and grow, ongoing relationships with caring, adult professionals, life-enhancing programs and character-developing experiences, and hope and opportunity. Helping youth to avoid risky behaviors, stay in school, and succeed in life, the Club carries out its mission of enabling all young people, especially those who need the organization most, to reach their potential as productive, caring, responsible citizens. Co-operative Insurance Companies has been meeting property and casualty insurance needs since 1915, offering farm, home, auto, business, and other insurance to people in Vermont and New Hampshire. It is owned by its members and committed to protecting them with fast and fair claims service, loss prevention expertise, and local operations. The company has headquarters in Middlebury, Vermont, with regional claims offices and more than 100 agency locations across Vermont and New Hampshire. Eaton & Berube Insurance Agency is a local, family-owned independent insurance agency in Nashua, N.H. The agency has been serving the insurance needs of New Hampshire families and businesses for 75 years, with a strong focus on community support and involvement. Eaton & Berube offers a comprehensive line of personal and commercial insurance products, including home, auto, renters, umbrella, general liability, workers’ compensation, professional liability, medical malpractice, and equine/farm insurance.